Tesco is easily the most popular supermarket chain in the UK. The supermarket has a gargantuan 28% market share, so the chances are that you have a favourite product from Tesco. From its popular Everyday Value brand to its wide selection of quality products, millions of people across the UK have come to expect a great experience when shopping for Tesco products. But is Tesco too popular? Its stores are busy, noisy and it can take a long time to get in and out. Instead of taking five minutes to pop in for tea bags, you might find the process eats into your day! But now, you have Pinga at your fingertips. Our service makes it simple for you to order pretty much anything from our network of trusted Pinga Partners. The ordering process is very fast and you’ll have your product in no time! The ordering process has three simple steps: dispatch your request, coordinate with your Pinga Partner and then pay securely through the app. All this is left is to sit and wait for your product to arrive! When it comes to Pinga, we don’t have unrealistic minimum orders in place either. You order simply what you need, instead of being forced to order a huge range of items. Every single Pinga Partner is professional and courteous. They work hard to ensure that every delivery goes off without a hitch and you have your product in your hands in no time at all. We work with hundreds of users and they love the convenience that is on offer. Whether they need a product from Tesco, another supermarket or any store, their lives are made simpler and more convenient. Getting started with Pinga is simple and we can’t wait to have you on board. To help you get started today, here’s a closer look at our service and how everything works. Pinga delivers any items from Tesco today. 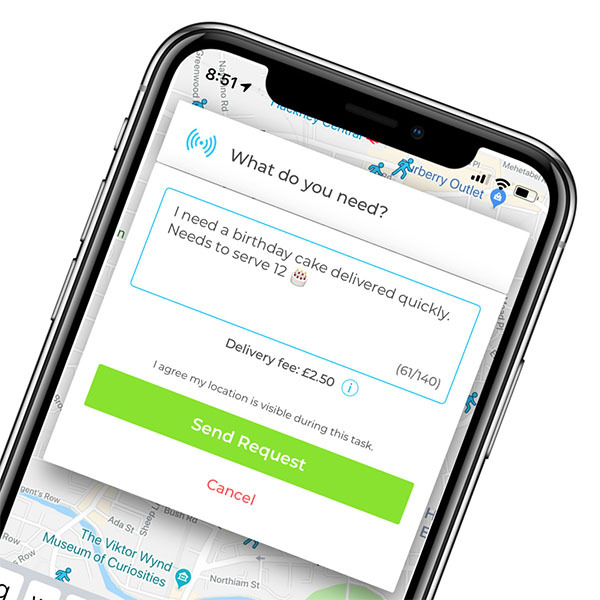 Infact our service normally delivers within an hour, so if you’re looking for same day delivers from Tesco, send your request via the Pinga App. Describe what items you needs to be delivered from Tesco and send your request. Pay securely within the app and receive your Tesco items to your door!